Patient comfort is proving to be a sound investment. It's no secret that most people moan at the thought of having an imaging procedure done—both because of the time it takes and the discomfort associated with scan positioning. Radiologists understand that comfort before, during, and after an examination is important for both the patient and for image quality, and many health care manufacturers have boosted their efforts to create tables and equipment that make the experience more comfortable. There are three primary reasons that those in the medical industry are focusing on comfort care. First, if a patient is comfortable, they are more likely to hold still, therefore facilitating a better diagnostic image. Second, patients who are made more comfortable during their care are imaged more quickly, increasing throughput in a room. Third, a patient who has a good experience is more likely to come back to the center when they need additional care. Jan Dragotta, director of clinical operations for ProCure Proton Therapy Center in Somerset, New Jersey, says comfort is becoming a larger area of focus in treatment programs. 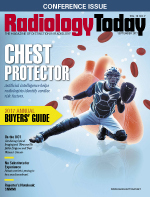 "Historically, radiation centers have followed radiology's lead when it comes to how imaging is used. For example, CT scans were used in the 1970s in radiology, and it took a while before they were integrated into radiation therapy practices," she says. "Today, we have the luxury of making patient comfort a central concern. This wasn't always possible, even as recently as a few decades ago." Organizations are increasingly recognizing the connection between patient comfort and business success. "Specific to imaging-related products, considerations that those in the medical industry are talking about include products that provide stability and comfort for the patient and, very importantly, products that meet infection control guidelines," Dragotta says. "We also focus on the technical specifications of a product, which enables us to ensure that the product doesn't interfere with the imaging. Lastly, medical professionals are talking about using tools to distract the patient during care, such as music and visual aids." Samuel Kim, MD, director of radiology for Long Island Jewish Forest Hills (LIJFH) in Forest Hills, New York, says comforting a patient starts at the very beginning of a visit, and there is more to it than having the latest equipment. It starts with education about the patient's examination by the physician or technologist to improve the patient's awareness. "At LIJFH, patients are greeted at the front desk. After registration, a patient is escorted to the study to be performed—MRI, CT, X-rays, etc—and the technologist explains the procedure to alleviate any anxiety or fears before the exam is performed," Kim says. "We look for state-of-the-art equipment that will produce the best diagnostic image quality for our patients, and we have wide-bore MRI machines—Siemens Aera-1.5 Tesla—that help any patients who are claustrophobic." Hoi Huang, MD, a radiologist at LIJFH, says the more comfortable the patient, the more likely he or she will cooperate during the exam, thereby maximizing the quality of the imaging and allowing the radiologist to render the most accurate diagnosis. "Communication throughout the exam is important as it helps to keep the patient at ease," Huang says. "If a patient moves a lot, the study is nondiagnostic." The industry at large has elevated patient experience to something on which health care centers and manufacturers must focus their energy. The Centers for Medicare & Medicaid Services even considers patient experience in terms of reimbursement. "We also want patients to be comfortable and have a good experience so that they trust us with their care and continue to let us treat them," Dragotta says. "It's essential that patients remember that the team was friendly, that they didn't have to wait long, and that the center considered their comfort as a primary factor in delivering care." In an effort to improve comfort care, Adept Medical of Auckland, New Zealand, offers the STARSystem, a device to support a patient's arm ergonomically, adapting to all patient shapes and sizes during radial access procedures. "It consists of an adjustable forearm and wrist support which allows the wrist to be hyperextended from the patient's side, enabling optimal radial artery access," says Carla Tewkesbury, Adept's general manager. "However, this can be a very uncomfortable position to maintain for long periods. So, once access has been achieved, the hyperextension can be relaxed, and the hand medially rotated to a much more comfortable position for the rest of the procedure." The STARSystem fits all commercially available lab tables and uses a series of friction pivots and sliding joints to allow adjustment for all patient sizes. The company's STARTable provides an adjustable working surface and additional scatter radiation protection for the operator. Tewkesbury says the work surface provides a transitional surface for wires and equipment adjacent to the patient's access site, which can reduce the amount of equipment that rests on the patient. There are also a couple of accessories to the STARSystem that facilitate left arm radial procedures. "The STARSupport comfortably raises the left arm up and over the patient's body for situations where the clinician prefers to work from the patient's right-hand side, which is typical for interventional cardiologists," Tewkesbury says. "The patient is supported by a flexible elastomer component with height and angular adjustments to provide maximum comfort for a wide range of patient sizes." Daniel Gabbay, MD, a principal for Patient Positioning Systems, LLC, of Eugene, Oregon, says his company is focused on providing comfortable solutions for obese patients who need to go through the imaging process. For example, its Best Practice inflatable is an adjustable positioning device that allows ear to sternal notch position in the heaviest of patients. For devices and products that interface with the patient, such as the table, head cushion, and immobilization devices, ProCure looks for products that are made of materials that are durable, are cleanable (with cleaning guidelines that meet recommendations), can be used from patient to patient, and provide comfort in the necessary patient positions. Morris Panner, CEO of Ambra Health, a medical data and image management cloud software company headquartered in New York, says that while patients can share photos on any device seamlessly, when it comes to health care, they're often asked to fax forms around and are handed a CD or DVD to move their medical images from one care provider to the next for a second opinion or follow-up care. "To provide a better experience for this time-consuming and frustrating process, providers are turning to the cloud to create a more effective alternative to image sharing, storage, and distribution that brings health care image management into the 21st century," Panner says. "That leads to a better sense of comfort, as it's less stress and less to worry about." St. Luke's University Health Network, a nationally recognized network that provides services at seven hospitals and more than 200 sites throughout Pennsylvania and New Jersey, uses Ambra cloud technology to improve medical image sharing. "With Ambra, uploading and sharing imaging through the cloud occurs in under three minutes, a massive decrease from the hours previously wasted on creating CDs and DVDs, scheduling pick-up times, and delivery," says Chad Brisendine, CIO and vice president at St. Luke's. "Once a patient shares medical images with St. Luke's, they are given the ability to create an account to store medical images in a personal health record. Patients can access their accounts at any time to view and share their images." The last few years have seen major advancements in imaging technology and interventional equipment, according to Tewkesbury, yet patient comfort has been left by the wayside. That is starting to change, however, and the focus on patient experience is increasing. "We see there is huge opportunity in the field of interventional radiology to improve on this," she says. "Typically, a comfortable patient is a less restless patient. During radial artery procedures, patient discomfort may lead to radial artery spasm and inability to advance sheaths or guide catheters or other equipment." "In radiology and cancer treatment, we often need patients to be laying still in positions that aren't always comfortable and natural, so we need equipment that supports patients to be as comfortable as possible," Dragotta says. "As proton therapy becomes more common, vendors are investing in proton-specific products to help immobilize patients, and we are excited to see what emerges in the coming years." Vivek Patkar, CMO of Deontics, a provider of artificial intelligence (AI) for clinical pathways and clinical decision support systems, believes AI will play a big role in patient comfort in the years to come. "Radiology departments are in the emerging stages of leveraging optimal investigative strategies by way of AI solutions," Patkar says. "AI works basically upstream or downstream of radiology technologies to best ensure patient comfort and personalized experiences. For instance, radiologists could do the implementation of guidelines for the correct use of imaging—ie, upstream—as well as the treatment recommendations for conditions diagnosed at imaging—ie, downstream." Patient comfort and experience have become central to many facets of health care, including imaging; ensuring that patients are comfortable means better efficiency for clinicians and imaging centers. Huang would like to see more advanced software in the future that can produce diagnostic value without the need to administer IV contrast and shorter-duration MRI sequences, leading to less motion and better-quality images. "When a patient is comfortable they're more likely to hold still; holding still means the imaging will come out better. This is important for both the patient and clinician in the success of the treatment plan," Dragotta says. "From a clinical perspective, patient comfort and successful imaging means better throughput, meaning you can see more patients in one day."